Kybella is an injectable treatments that targets and permanently destroy fat cells under the chin. Kybella targets excessive “submental” fat, commonly referred to as “double chin.” It is comprised of deoxycholic acid, a molecule that occurs naturally in the body and aids in the breakdown and absorption of fat. Once injected, Kybella destroys the fat cells present under the chin. The body then naturally removes the cells, and the treated areas are prevented from accumulating or storing fat in the future. Before | After: Combination approach. Our treatment plan included Kybella and CoolSculpting, a non-invasive fat-destroying device. 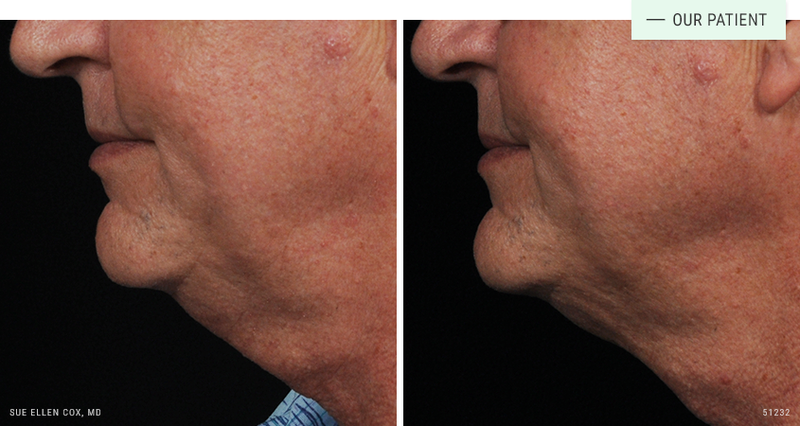 Before | After: Kybella is effective regardless of gender. This patient is shown six weeks after a single session of Kybella. 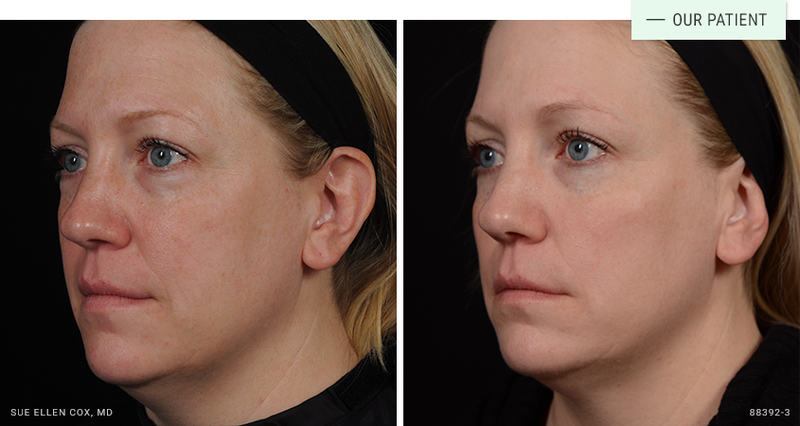 Before | After: Two treatments of Kybella to reduce submental fat. 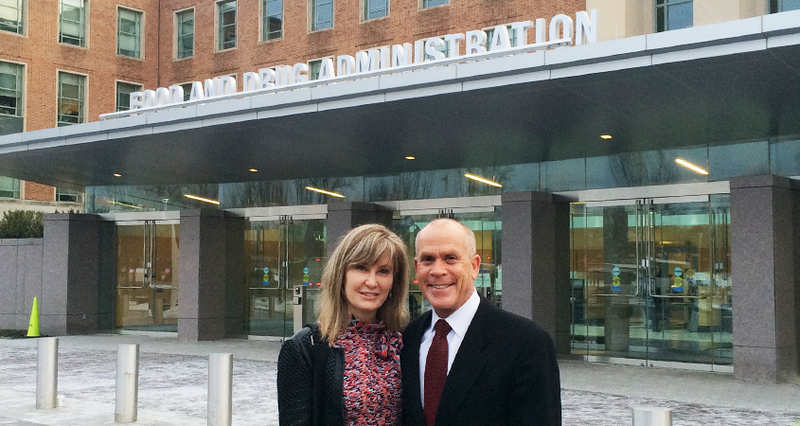 Expertise: Dr. Cox was a principal investigator in clinical trials for Kybella, and appeared before the FDA Advisory Board. The FDA has approved Kybella to safely treat submental fullness, or fatty tissue under the chin. It has an excellent safety profile. Like any medical procedure, there are risks. As a teacher and trainer of other physicians in safe, effective body contouring, Dr. Cox stresses the importance of finding an experienced physician who understands the finer points of fat reduction as well as injectable treatment. Kybella is well tolerated. After administering a local anesthetic, Dr. Cox will administer a series of Kybella injection precisely where it is needed using a very small needle. The entire process typically takes less than 20 minutes. Kybella requires some downtime. Swelling is normal following your treatment and may last for several days. Depending on the treatment, swelling may be quite pronounced for the first 48 hours or more. For this reason, we advise against scheduling treatment immediately prior to significant social or professional obligations. Tenderness and numbness is also normal and will resolve completely. With any injectable procedure, there is a risk of bruising. Aspirin, vitamin E, ibuprofen, and many other herbal supplements may contribute to bruising and swelling. We recommend you discontinue these medications for two weeks prior to the procedure with consent of the prescribing physician. Kybella permantly destroys fall cells, reducing volume under the chin and producing a more defined jawline. Because the body removes the dead fat cells gradually over time, it will take about four weeks to begin seeing results, with maximum results typically visible three months after treatment. Dr. Cox conducted the clinical trials for Kybella as well as post-trial research to further consider patient satisfaction. Some patients are happy with results from one treatment, and others opt for additional treatment.